Paul Miller, author of A Praying Life, A Loving Life, and Love Walked Among Us is coming to Grace Fellowship! 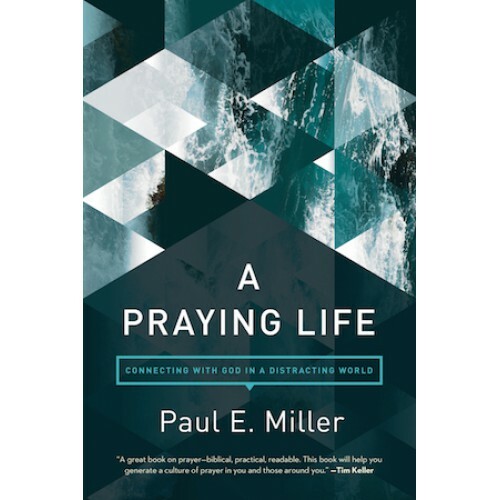 A Praying Life is among the most impactful books I’ve read on prayer. It’s life changing with no guilt trips. Many of us are quietly defeated in our private prayer lives. We’ve tried praying, but it just doesn’t seem to work. So we feel a combination of frustration and guilt. In this interactive seminar, we will learn step-by-step how to begin a private life of prayer in fellowship with our heavenly Father. This seminar is not for victorious Christians, but Christians who often find themselves defeated in the trenches. How do you stay focused when you are distracted with so much to do? The ‘A Praying Life Seminar’ is the most practical training in prayer possible, yet it is rooted in biblical theology. I highly recommend it. I expected our people to come away from the conference talking about prayer. What I didn’t expect was for their (and my) relationship with the Father to become more intimate during the conference itself. centrality of an inviting Savior, and the preciousness of the gospel for compelling us to pray. A Praying Life changed my prayer life to be more grace-filled. I have found more freedom to come to Him when my heart and mind are messy, and let Him work in that messiness. You convinced me to begin praying for my daughter whom I hadn’t seen in four years. I tearfully filled out the prayer card and began to ‘ask big’ that our relationship would be restored. When she called a few weeks later, I asked my husband to call you first with the news! These prayer stories you talk about are for real! What's the location for this seminar? This year’s Spring Conference is held at Grace Fellowship’s Florence Campus at 9379 Gunpowder Road Florence, KY 41042. Childcare is NOT provided for this seminar. I do not attend Grace Fellowship Church, can I still come? Absolutely! Paul Miller’s writings, teachings, and stories have impacted many people so please join us for this unique opportunity God’s given our church to learn from him live and in person!